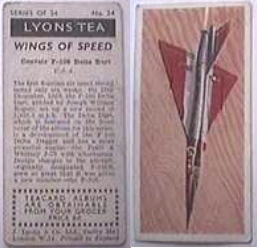 While there are many series (42 at last count), here some card images from a couple of series. Email me with more images and I'll get them up here. This image has been reduced to a thumbnail to save you time in loading it. Click the thumbnail to see the actual full size image. 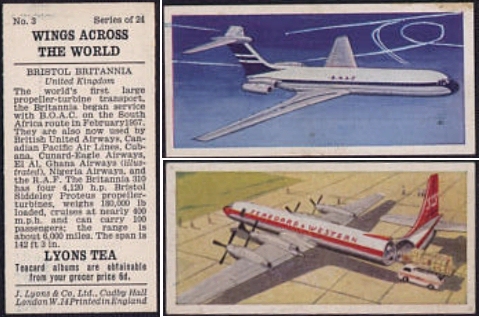 Once the large one has been viewed, click "Back" on your browser to return to this page. 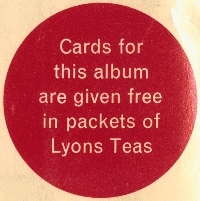 What are tea cards without a great album to place them in. The little logo to the right is from one of the albums, on the back cover. The price for an album appears to be six pence, by and large. Here are three different covers. 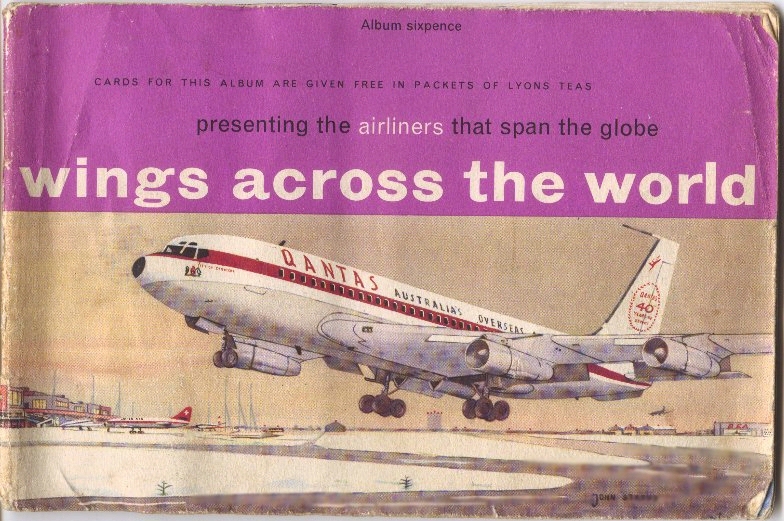 This one shows the airliners of the day (1961-1962). 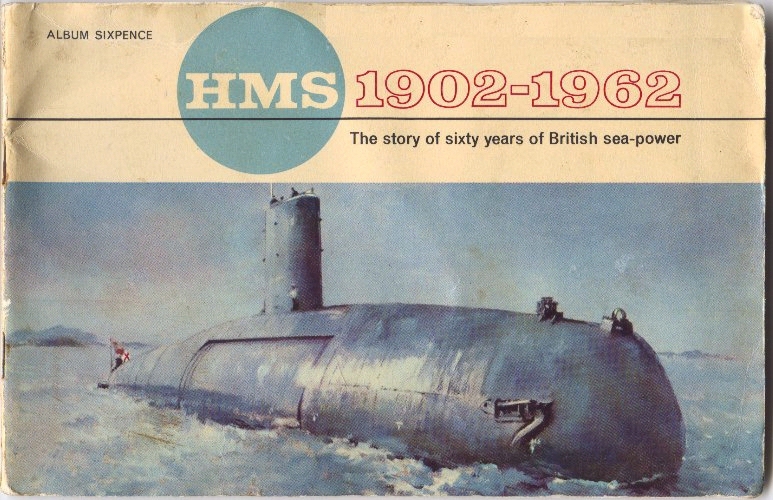 This shows the British sea-power from that period. 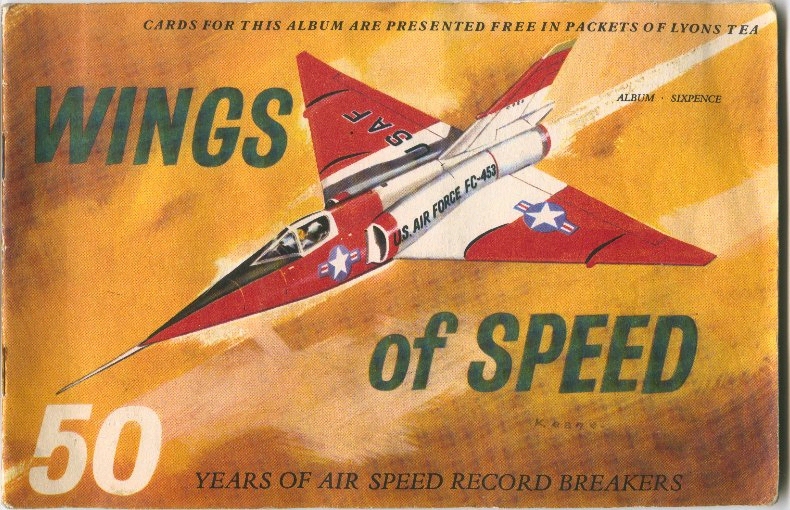 Wings of Speed shows you 50 years of air speed record breakers.